"OK, so flower power didn't work, so what? We start again." John Lennon's call to arms, amplified to thousands at an Ann Arbor, Michigan, rally in December 1971 to free activist and rabble-rouser John Sinclair from prison, was less an admission of failure than it was instructive assurance. It echoed Saul Alinsky's Rules for Radicals, published the same year, particularly Rule No. 8: "Keep the pressure on. Never let up." But opposite Sinclair and Alinsky's aims to overthrow and destroy, to many of the longhairs and outsiders of the hippie movement, Lennon's message was instead an innocuous invitation to continue living as if. As if the war is over. As if love is all you need. As if the prohibition of marijuana and psychedelics never happened. Author Ken Kesey (One Flew Over the Cuckoo's Nest) and the Merry Pranksters did just that, their antics nourishing the long tradition of subversive trickery and humorous misbehavior in American life that is part and parcel of liberty. "All of us are beginning to do our thing," Kesey once said in something akin to a Prankster mission statement, "and we're going to keep doing it, right out front, and none of us are going to deny what other people are doing." Their "revolt of the guinea pigs" (Kesey was introduced to LSD as a participant in a government drug study), a maximalist experiment in consciousness exploration, morality and communal insubordination, foretold the anti-establishment counterculture that clearly still thrives today. "Caution: Weird Load" read a sign on the back of their infamous home, a Day-Glo school bus. 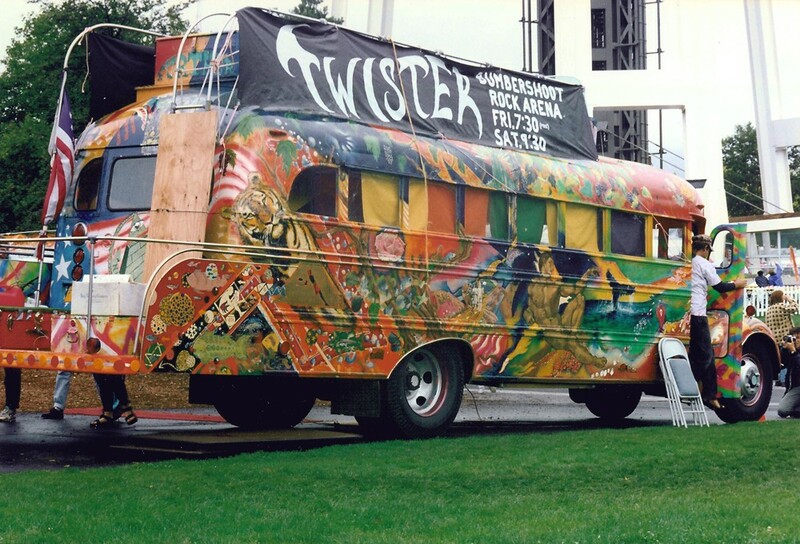 That bus, called Furthur, was fueled mostly by the group's insatiable appetite for tomfoolery. And marijuana. "To the rebellious young and their allies, [cannabis] is a symbol of liberation — perhaps the symbol," argued Fortune at the apex of the paranoid pot debate in the '70s. It represented freedom from the mainstream, and from organization. And it paired well with nonconformist modes of thinking. In the wee hours of the new year, a prankster named Jesus Hands scaled Hollywood's iconic sign and altered the "oo" to spell out "Hollyweed." Jesus Hands, aka Zach Fernandez, told The Hollywood Reporter he did it "out of love" and in tribute to the artist Daniel Finegood, who first performed the same stunt in 1976. "Pot art. That's what it is," said Fernandez. He balked at accusations of vandalism, claiming he even picked up litter as he fled the scene.